Robust and designed for general purpose use, the Mountfield S461PD/ES offers excellent value for money. 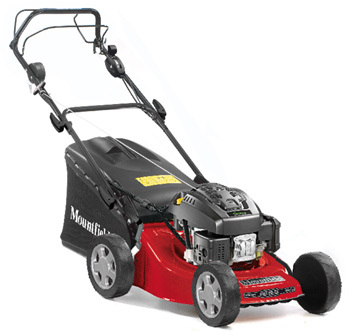 This 46cm/18 inch cutting width rotary mower has been designed to give a quality finish on all lawns. Powered by the easy to start Mountfield RM55ES four stroke petrol engine with electric key starting.This mower is power driven. Grass cuttings are collected into a 60 litre capacity quality fabric collector. Cutting heights are adjustable from 25mm to 75mm with a single lever. The robust cutting deck is constructed of steel.